Leopard seals can be individually identified – primarily by the spots on their pelage (fur). 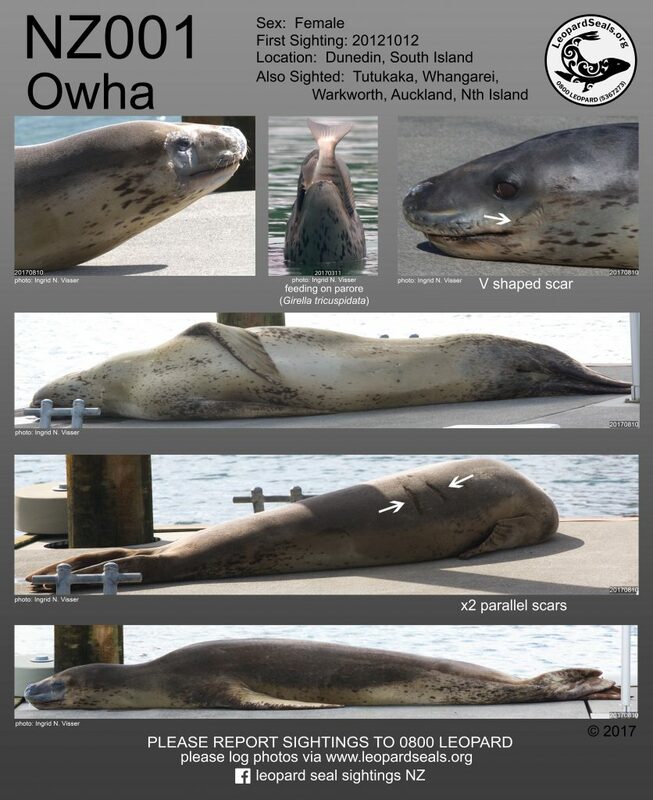 However, some individuals also may have scars (see NZ001, “Owha”) or tags (see our page on ‘Spot the Difference’ page for more details). Currently there are no tagging programs for leopard seals in New Zealand waters (and we hope it remains that way as some tagging can be very invasive – see this post about tagging Weddell seals). Due to being able to identify individuals allows us to track them as they move around New Zealand. To facilitate research and to increase public awareness, we have created an identification catalogue. 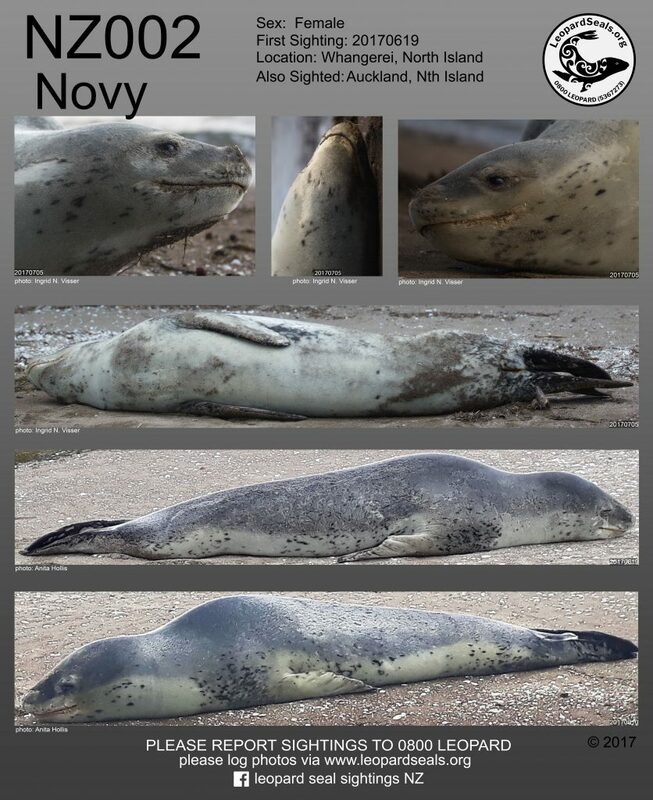 As more data comes in we are able to add individuals to the New Zealand Leopard Seal Identification Catalogue. If you have any photographs of leopard seals from our waters, please do contact us and report your sighting. If photographing leopard seals, please see our guidelines page.